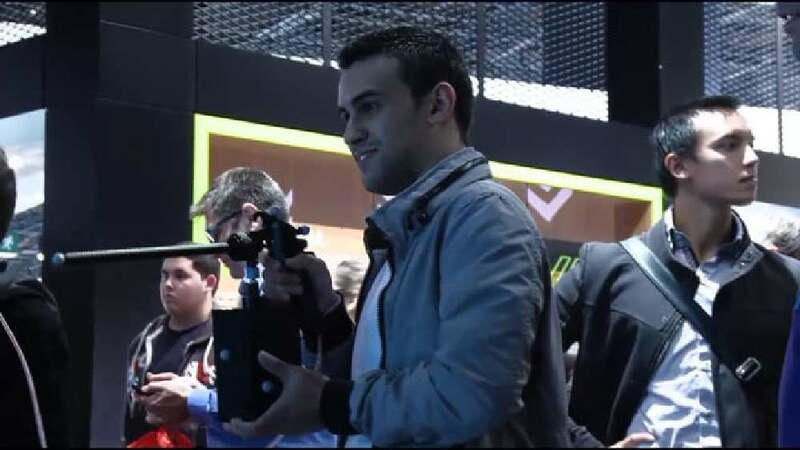 This interactive exhibit enables visitors to engage with the MINI in a way that reflects the car’s typical “twinkle in the eye”. As the vehicle moves and bounces on screen, visitors can paint it using digital aerosol devices. By pointing the spray can at paint buckets, different colours may be selected. Tilting the can activates tricks similar to graffiti spraying in street culture, such as blowing wind. 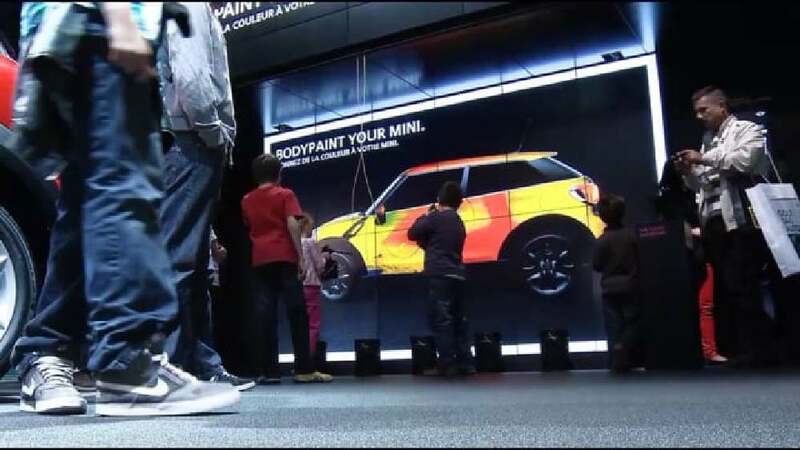 Once the paint job is done, visitors can share pictures of themselves in action, as well as of the body-painted MINI, at a touchscreen terminal.